Study Japanese in Tokyo! Let's learn Japanese in the student neighbourhood of Takadanobaba, Tokyo! To celebrate the opening of the new annex in Takadanobaba, we're launching the "Appreciation Campaign"
This campaign is limited to people applying for the first time (students extending their visa during the campaign period must pay the regular fee). What kind of place is Tokyo-Takadanobaba Campus? 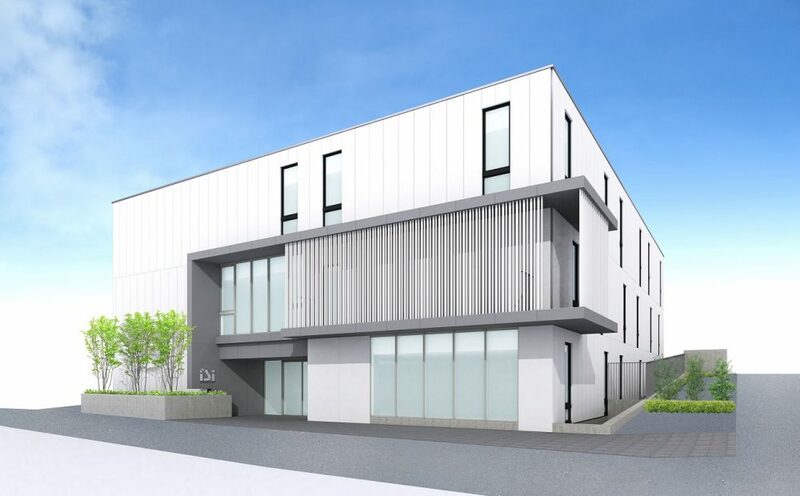 Academic neighbourhood with excellent access to Tokyo major areas! Great teachers with extensive experience! Learn with students from all over the world in an international environment! Many elective lessons to meet your objectives! Advanced education guidance to enter top universities! High employment success rate due to our partnerships! Special advanced Japanese class available for those who pass the test! The largest Japanese language school in Japan! JR Yamanote Line, Seibu Shinjuku Line, Tokyo Metro Tozai Line and many buses stop in Takadanoba so access from and to major areas of Tokyo is very convenient. Due to the high number of students, there are a lot of shops with reasonable prices and an area known as the “ramen battle area”. Tokyo-Takadanobaba Campus is the largest one within ISI Japanese Language School. It consists on 3 modern buildings, including the new annex, with classrooms and facilities with a big capacity that will make you feel welcome. Thanks to the size of it, levels are divided into several different classes with small differences on the levels so you can learn in the most suitable level for you. PC area, library, infirmary, lobby, student lounge, self-study room, vending machines, water servers, Wi-Fi, Café. Perfect for those who want to master the necessary Japanese language skills to enroll in higher education: vocational school, university or graduate school. From intermediate level onwards, in addition to the basic lessons per week, students will be able to choose from preparation class for EJU or JLPT, writing, conversation, etc. You can learn the required academic Japanese and prepare for EJU in order to apply for a Japanese university. We will help you prepare the research plan and for the entrance exam in order to apply for a graduate school in Japan. In this class you can learn Japanese business etiquette and language while prepare for job hunting taking part in job fairs and other activities. Learn how to face the test by revising and practicing past questions that are most likely to appear on the exam. Improve your conversation skills through role playing, debates and fieldwork. Once every 3 months, students can enroll in this course by passing the entrance exam. This course offers a set of Japanese language classes with fun activities in Japan. It also gives students the chance to get acquainted with students from all over the world and their cultures. Summer Course is a special short term course offered only in our Takadanobaba and Kyoto Campuses. If you already have a visa that allows you to stay in Japan, you can take a short term course. As with long term courses, you can also choose elective lessons from intermediate level (except Job finding class for tourist visa holders). We will be offering special admission campaigns from July 2019 for those who hold working holiday visa, Japanese family visa, etc. Please contact us for more information. ISI Career Center is the key for ISI students to, step by step, find better employment opportunities. We will provide the necessary support to ensure you find what you are looking for career-wise. At Takadanobaba Campus, our teachers bring a lot of passion when it comes to counseling the students about their career or academic plans; we count on our extensive experience and large amount of information gathered throughout the years so the students can fulfill their wishes to go to a top university or famous postgraduate school and step up for the next stage in Japan. Takadanobaba Campus holds regularly employment guidance and corporate briefing sessions on campus so students can become “good professionals and citizens” in the future. We also provide opportunities for internships in cooperation with companies that could lead to recruitment.